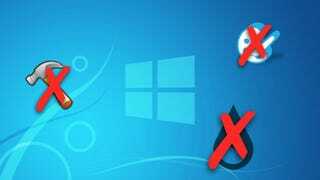 Windows may be not as customizable as Linux, but a lot may be achieved with some additional tweaking tools. In most cases such programs require additional resources and take time to launch as Windows starts. Nothing crucial here, unless you're very limited on resources. But here are some customization tips that will change the looks of your desktop with no additional software. One of the new features in Windows 10 is an option to pin the Recycle Bin to the taskbar. This isn't much, but when I clean my desktop from all the unnecessary files and shortcuts, I still find myself in need of the Recycle Bin, My PC and the Downloads shortcut. You can pin it to the Folders and they will be available through the RMB click, but that's not as convenient as simply clicking on it. Actually, you can pin virtually anything to Taskbar by creating a Quick Launch toolbar. Right-click on the Taskbar. Go to Toolbars and create a New Toolbar. This will create a new Quick Launch toolbar. It already has some programs there, so you'll need to drag-and-drop the ones you want there (This PC, Recycle Bin and Downloads in my case) and delete the ones you don't. Then right-click on your Quick Launch toolbar to configure it. Move the Quick Launch toolbar to the left (right next to the Start button) and Lock the Taskbar. After removing whatever you had on a Desktop, it'll become absolutely clean, with all the necessary programs available from the Taskbar. BTW, the Bin is fully functional, so you can recycle files as usual. Dozens of subreddits are a perfect source for your new wallpapers and there is a way to get them easier. First of all, find a subreddit that you like (/r/wallpapers here). Add .rss at the end of the link. You can also do this with the search results for the screen resolution you neede as some subreddits have it mentioned in the post's name. Go to Yahoo Pipes. Paste your link and click Run Pipe. After it is complete, get a new RSS link below (click Get as RSS button). Where DisplayName will be the name of your theme; Interval is how frequent the wallpapers are shuffled (in milliseconds, so 900000 is 15 minutes) and RssFeed is the link you need to paste. Save the file with the .theme extension. Run it using Personalization CPL. Agree to Download Attachments when asked. This may take up to several minutes for the pictures to get downloaded, but eventually you'll get a new theme on the background. Customizing windows borders and scrollbars won't radically change Windows appearance (it will only if you go overboard with values), but slight improvements may be pleasant to the eye. This requires some Registry tweaking. Hit Win+r and type Regedit. Navigate to HKEY_CURRENT_USER\Control Panel\Desktop\WindowMetrics and set PaddedBorderWidth to -0, both ScrollWidth and ScrollHeight to -200. Relog-in to Windows for the changes to take place. How do you customize your OS? Leave whatever other software-free customization tips you know in the comments below.